We produce Concerts of Light throughout the United States. These events are incredibly powerful, life changing, healing, beautiful events. We are so honored to be able to use music for healing and love. 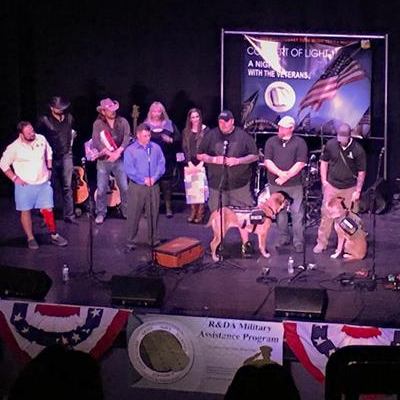 Concert of Light is a benefit concert for our wounded service men and women. Our primary non-profit we work with is the R & DA Military Assistance Program. We have also raised money for AHERO and Operation Song. Presented by D.a.T. SaUcE and Last Honky Tonk Music Series.